If you have patients that suffer from chronic pain, TENS therapy can help break the pain cycle and aid in the normal healing process. Whether you are using electrotherapy for the treatment of back pain, headaches, sports injuries or general muscle pain, Roscoe has a wide variety of TENS units to choose from. All units come standard with carrying case, lead wires, battery, manual, electrodes and five year warranty. TENS/EMS Units & Stimulators can be found in our extensive online collection of products from globally recognized and trusted brands, including Roscoe Medical. 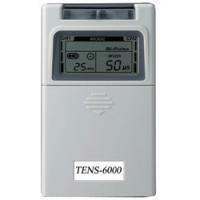 An excellent option to consider is the Digital TENS Unit.